Burger 21, an award-winning, "beyond the better burger" fast casual franchise, is celebrating National Cheeseburger Day by rewarding guests for downloading its new mobile app and loyalty rewards program with a free Cheesy Burger offer*. To further celebrate the holiday, the brand is launching its first #BCheesy Photo Sweepstakes in which one lucky fan will win free cheesy burgers for a year on National Cheeseburger Day, Sept. 18. Now through Sept. 18, guests are encouraged to download Burger 21's free mobile app and register in order to receive an offer for a free Cheesy Burger. 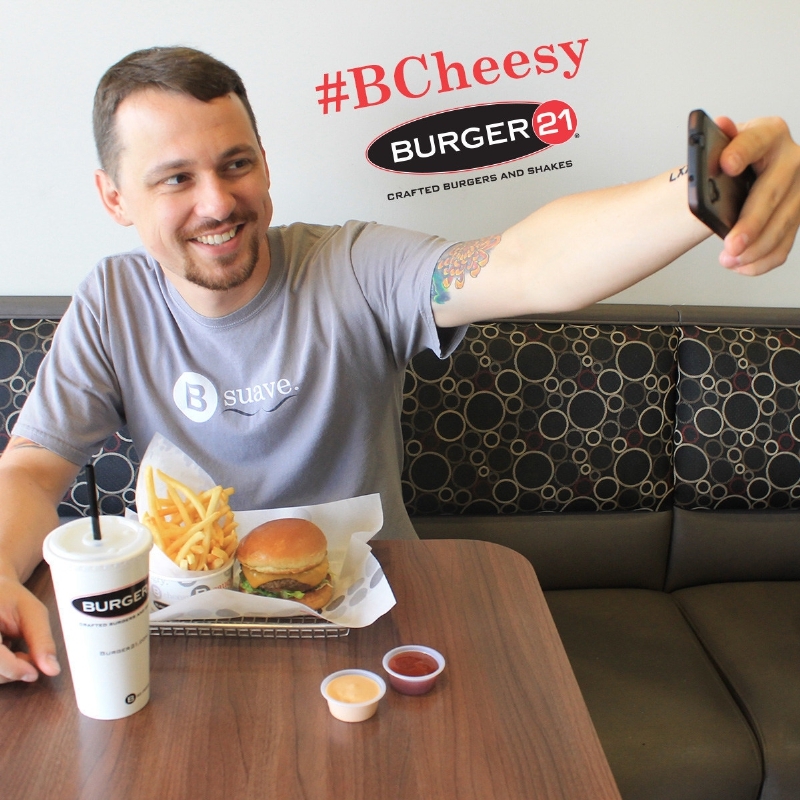 To participate in the #BCheesy Photo Sweepstakes, customers must then post a photo of themselves enjoying their free Cheesy Burger in-restaurant on Facebook or Instagram using the hashtag #BCheesy. The grand prize winner will be chosen at random on Sept. 19. "We wanted to celebrate National Cheeseburger Day in a big way by awarding one lucky fan with free cheesy burgers for a year," said Mark Johnston, president and founder of Burger 21. "We truly appreciate our loyal fans and Burger 21's latest mobile app is a great way for customers to earn rewards every time they dine with us." Through Burger 21's mobile app, guests can earn a $5 reward for every seven visits. 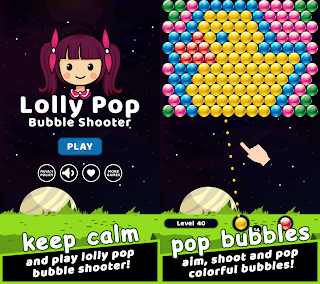 The app is available for download at the Apple App Store or Google Play. Recognition for Burger 21 includes being named one of Fast Casual's Top "Movers and Shakers" for the last three consecutive years. Additionally, Burger 21 President Mark Johnston was acknowledged as one of Fast Casual's "Top 25 People" of 2014 for his continued strategic leadership in the growth and development of the brand. Burger 21 also was named one of QSR's "Best Franchise Deals" of 2014. For more information on Burger 21, please visit burger21.com and follow Burger 21 on Twitter, Facebook and Instagram. For the latest special offers and promotions, join the B21 Club or download Burger 21's "B Loyal" app from the Apple App Store or Google Play. To learn more about ownership opportunities with Burger 21, contact Ashley Sawyer, franchise development manager, at 813-327-7881 or asawyer@burger21.com, or visit www.burger21franchise.com. *Free cheesy burger redeemable at any of Burger 21's restaurants across the country. Offer expires after 30 days from initial download. With 17 locations now open in Arizona, Florida, Georgia, New Jersey, New York, North Carolina and Virginia, and more than 20 in development in seven states, Burger 21 is a "beyond the better burger" fast-casual franchise concept founded in 2010. Headquartered in Tampa, Fla., Burger 21 is a chef-inspired brand with offerings including 21 unique burger creations ranging from hand-crafted, freshly ground Certified Angus Beef® to chicken, turkey, vegetarian, shrimp and tuna burgers, fresh salads, all-beef hot dogs, chicken tenders and an extensive shake bar including hand-crafted shakes, floats and sundaes. Since its inception, the company has provided more than $127,000 in contributions as part of its "B Charitable" initiative, in which it donates 10 percent of its restaurants' sales to local schools and charities on the 21st of each month. For more information, visit http://www.burger21.com. 0 comments on "Burger 21 Celebrates National Cheeseburger Day With Free Cheesy Burger Offer Available Through New Mobile App And Rewards Program"